So you have to do the inevitable, what every SEO specialist dreads – you need to change or migrate your domain name. Whether you are changing your domain due to a change of flagship at the hotel, incorrect keywords in the existing domain, or any other reason, that name change is sometimes unavoidable. 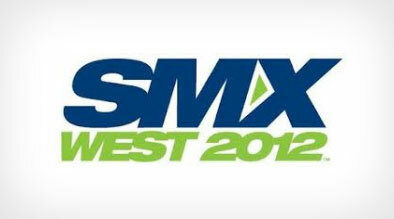 While there is no quick fix for this daunting task, the SMX West 2012 experts have given us some great tips on how to make the transition as seamless as possible. Discovery and Data Collection: before you commit to a domain change, you must first look at the viability of the new domain and your existing domain. Ask yourself, is the new domain adding keyword value? Vital geolocators? Will it benefit your hotel and the sites findability? Protect your developing site (disallow robots.txt). This will ensure that it is not crawled, and that you are not flagged for duplicate content. Set up your 301 redirects for each page, particularly for those top performing pages. While it takes time, it’s important that you do not simply implement a site-wide redirects. Retaining the site hierarchy can help preserve the value of the redirecting links and the new site altogether. 3. Launch and Clean Up Phase: the launch and clean up phase is where you will can see the product of your efforts during the previous two stages. Measure the results: You can expect to see a drop in rankings and views for the first two to four weeks, but if you have done your homework for the transition, you should see this the indicators improve thereafter! Crawl your existing links: a great tool for this is Bing’s Webmaster. This will not only give you a full report of your links, but is also provides a summary of the anchor text associated with links. Update the links that you can manually: these links may include paid listing and enrollments, domains, self-published links, and direct relationships where you can directly address these links. Prioritize the links that you need to update: these links valued can be weighed based on link count, if it followed v. not followed, the linking anchor text’s value, and the domain and page authority. Replacing what you can’t update: this is vital to ensure that you are maintaining the clout of your website based on its links authority. In conclusion, if you must migrate your domain, be sure to do so diligently and deliberately. Take into account ‘what’s in it for the hotel’, come up with a plan, and be sure to measure everything. Rhea Drysdale, Co-Founder & CEO, Outspoken Media, Inc.